Why do think so many men and women want nose jobs? How do you see celebrities influencing the perception of plastic surgery? 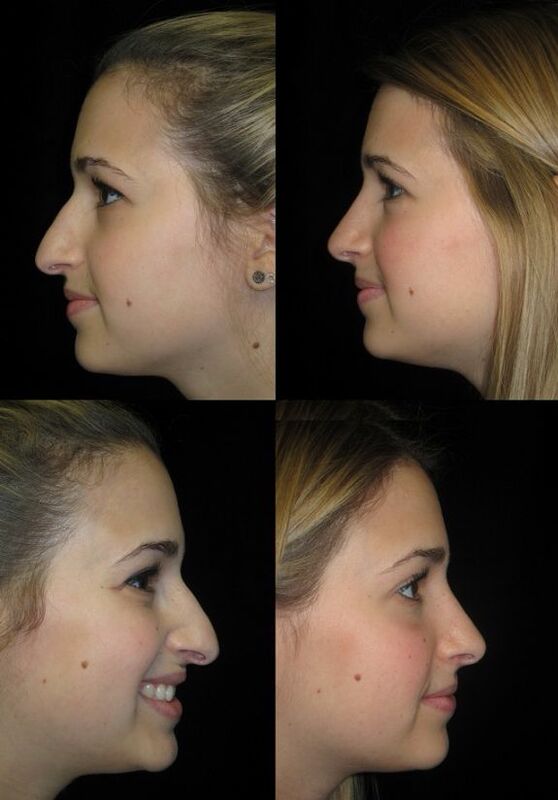 What non-invasive procedures are there for noses? What’s the difference between a closed and open rhinoplasty? How long does the surgery take to complete? How do you keep scars from appearing? What potential complications are there post-surgery? What can patients do to reduce swelling? What are the youngest and oldest patient you’ve had? Having performed some 9,000 rhinoplasty surgeries over the past 30 years, it’s no wonder veteran plastic surgeon to the stars Dr. Raj Kanodia has been called “Doctor Nose” by People Magazine. As one of the most sought after procedures, there is no shortage of rhinoplasty specialists but few are as sought after as Dr. Kanodia. Zwivel recently sat down with the Dr. Kanodia to learn more about his unique set of skills and artistic vision. Dr. Raj Kanodia: I believe people are inherently happy and confident, but we find sources of insecurity within ourselves as we grow up. For some people it’s their weight, or their grades or careers or lack of money. For others it can be facial features, like their nose. Whatever the insecurity, there’s always a way to conquer it, to get back on track and live an empowered life full of confidence and happiness. For something seemingly as silly as a nose, nobody should feel insecure or shy about wanting a better looking one. Our goal is to help people refine their noses and allow them to look like themselves while removing these stigmas they’ve placed on themselves because of it. The Kardashians are without question among the biggest influencers on the planet. I think there’s a lot of millennials who desire to look as perfect as they do, which in turn likely stimulates more interest in plastic surgery and minimally invasive procedures like lip injections, lasers, and body contouring procedures. Well, all those “non-surgical nose jobs” that have been popularized by on social media are devastatingly misleading. First of all, in certain patients it can be extremely dangerous to put fillers into their nose, as the nasal blood supply can be tenuous in certain areas. There’s a very real risk of necrosis. Unfortunately, lots of novice injectors have taken the “non-surgical nose job” into their hands and created a real mess. Let me clear up some popular misconceptions. One, you can’t make a nose smaller with fillers – you can only make it bigger. Two, you can’t improve breathing or change the bones of the nose with fillers. And three, you should only have a board certified plastic surgeon put fillers in your nose, because if something goes wrong you’re definitely going to want to be with someone who can surgically address it. 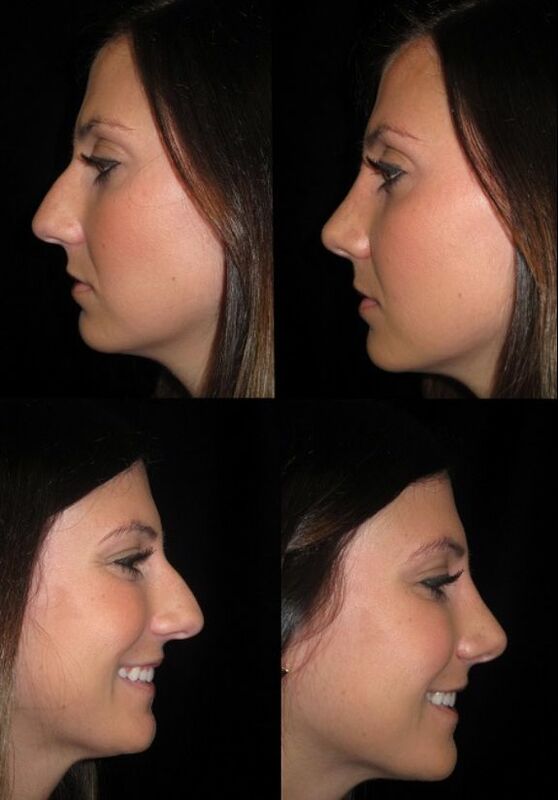 Closed rhinoplasty is the best way to perform a primary rhinoplasty, i.e. a person who hasn’t been operated on before. It doesn’t leave any visible cuts or scars on the skin of the nose, unlike open rhinoplasty, which relies on a cut at the base of the nasal skin and can leave a permanent scar. Open rhinoplasty is much easier to learn, so over the past 30 years nearly 95 percent of American surgeons have transitioned over to that approach. My partner Dr. Deepak Dugar and I are the only surgeons in California who perform closed rhinoplasty exclusively, as our only surgical practice. Closed rhinoplasty heals faster, involves less downtime, less swelling, and psychologically feels far less like reconstructive surgery. So instead of patients feeling like they’re changing their nose it’s more like they’re having it refined, or enhanced. One to two hours, if myself or Dr. Dugar is involved. The best way is to avoid making scars in the first place! That’s a big reason why we only perform closed scar-less rhinoplasty, so we fully avoid any risk of scarring. We just can’t risk scarring any of our high profile patients – their faces are their entire career sometimes. And anytime you cut the skin you’re at risk of leaving a scar. Complications are always possible but in general there’s much less risk with a closed rhinoplasty than with other, more invasive, procedures. The main risks are with the anesthesia – although complications are very rare with young healthy adults – or coming away unhappy with the results. The most common thing we’re accused of is doing too little, patients feeling we didn’t do enough to their nose. But we’re okay with that accusation because we’re minimalists. We don’t like to change noses, we instead enhance and refine them. 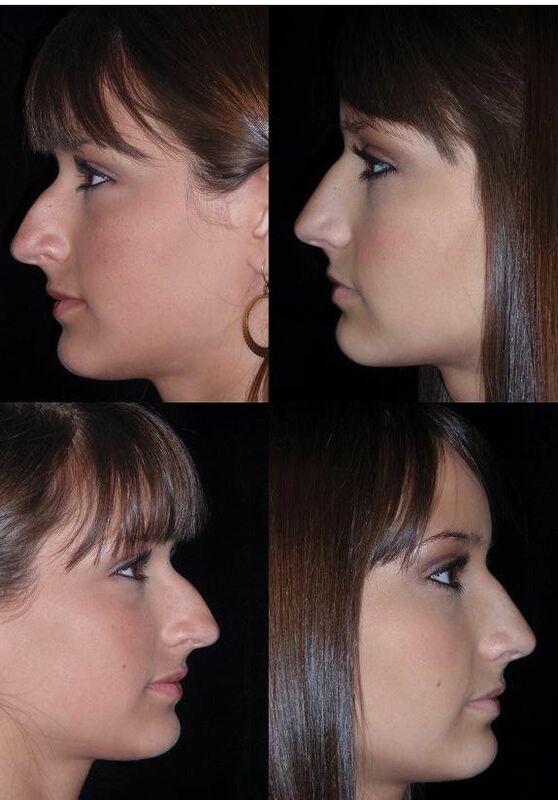 Nobody should ever look at a nose and think it had work done on it. It should always look natural. 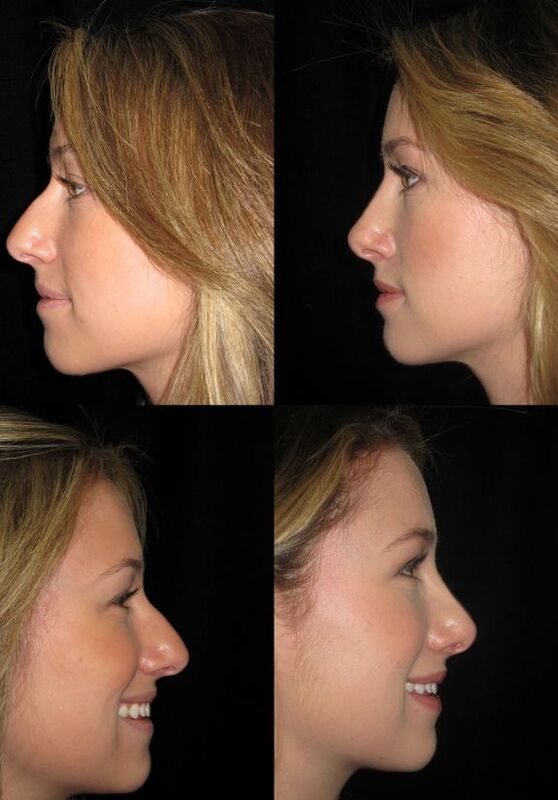 Even as a surgeon I should be able to look at a post-rhinoplasty nose and not be able to tell if any work was done. That’s how natural we strive to be with our results. The most common thing we’re accused of is doing too little. The most important things are: icing, icing, and more icing! Icing takes away swelling, bruising, inflammation and irritation better than anything in the world. We use a specialized glove technique I invented 35 years ago and still use today because it works better than any other technique in the world. Otherwise recovery is very easy. 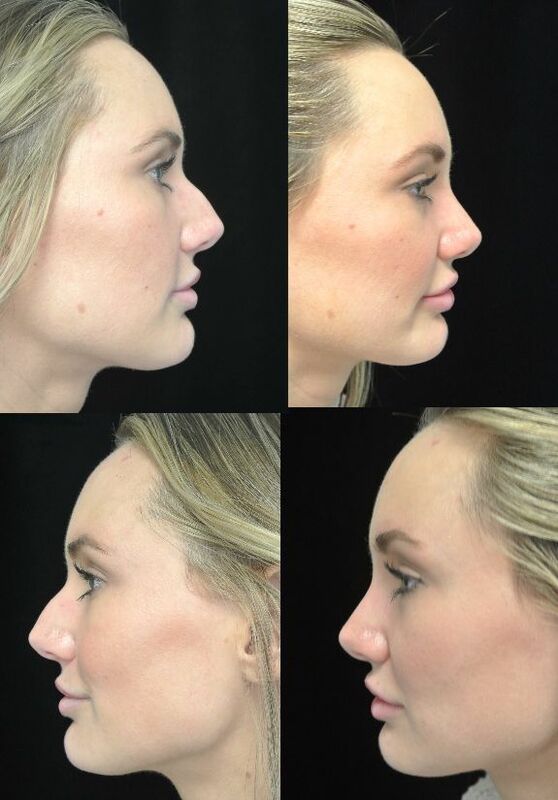 Recovery from the closed rhinoplasty technique is much faster than with typical open rhinoplasty – we call it a seven day flash recovery. On day seven, when we remove the cast, you can go out for dinner that same evening and no one will know you had work done! I routinely operate on 15-20 year olds. With most people the nose is fully mature by age 15. After maturity of the nasal bones and cartilage, a rhinoplasty can safely be performed – if deemed appropriate for the patient, of course. One time I operated on a 16 year old girl, her family was so ecstatic with the results her 71 year old grandmother came in later for her own rhinoplasty. She’d always wanted one but just never pulled the trigger when she was younger. That’s the oldest patient I’ve ever operated on – for a rhinoplasty, at least. Right now we’re collaborating with the The Buck Institute for Research on Aging and The USC Longevity Institute to create an anti-aging institution that will help boost anti-aging from within, not just externally. We’re also working on AMALA, my new skin care line. The India-based fruit, amala, has one of the highest concentrations of antioxidants and vitamin C in the world. Kim Kardashian and Britney Spears have praised the products, which aren’t necessarily intended to help with post-surgical healing specifically but basic overall health for every type of skin. We also continue to work on our Scarless Rhinoplasty Center to create the world’s greatest nose surgery experience. Plus, Dr. Duggar and I are currently two of E! News’ medical correspondents, helping to identify and popularize celebrity trends in cosmetics. Freelance entertainment, lifestyle, and travel journalist Susan L. Hornik has covered domestic and international television for the past 20 years.